Dracula is one of horror's most classic stories, and now it is a hauntingly detailed coloring book. Intricate linework combines with iconic quotations and scenes to create a chilling book that will inspire creativity while taking you on a journey of terror, thrills, and romance. 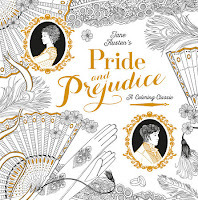 Featuring a richly foiled cover. With Halloween right around the corner, I thought it would be fun to spotlight another Coloring Classic by the lovely people at Random House. 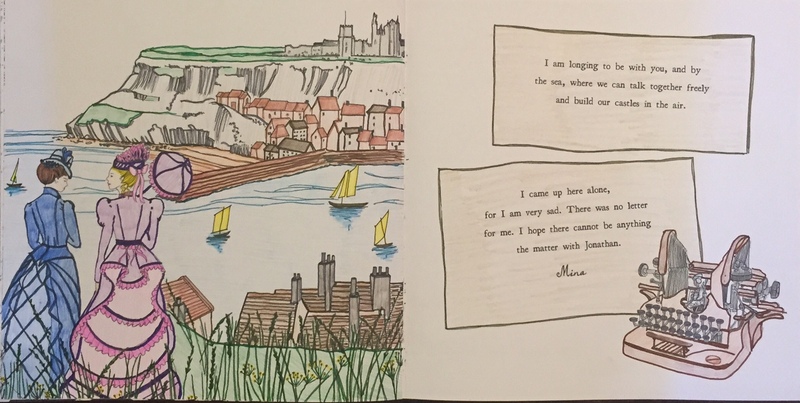 I am so thankful for having the opportunity to sample their new line of adult coloring books because I’ve had an amazing time with this collection. Recently, I received a copy of Bram Stoker’s Dracula. 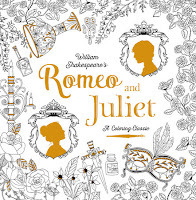 This Coloring Classic was designed and illustrated by the talented Chellie Carrol. As you journey through the pages, you can see her unique style of bringing this horror novel to life. She combined carefully selected quotes, tranquil landscapes, as well as, chilling scenes to give us the full gamut of Bram Stroker’s vivid imagination. 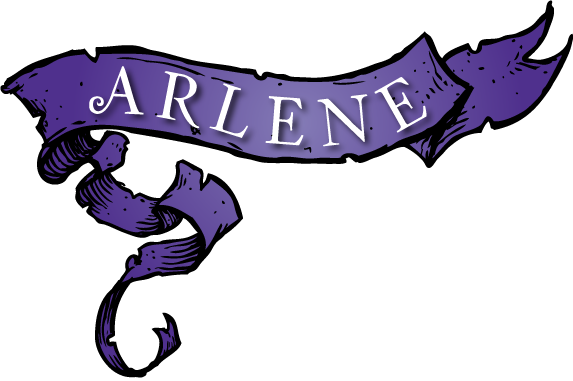 As daunting and eerie as this story can be, I really liked how Carrol incorporated some beautiful scenes you can easily get lost it before experiencing the gothic horror of this story. 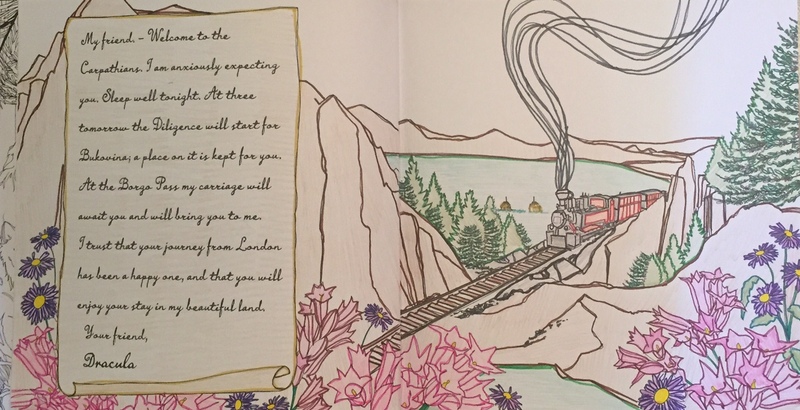 I enjoyed adding color to the beautiful landscapes and oceanside views. I breezed through these pages rather quickly and enjoyed every moment of it. However, Dracula’s Coloring Classic wouldn’t be complete without a glimpse into his resting place. I couldn’t quite decide what colors I wanted to use for his lair, but I knew it had to be bold and dramatic. Lastly, it was rather exciting spending some time on a couple of vampiric transformations. I’ve been a fan of the paranormal for quite some time, so bringing these pages to life with vivid, bright colors was fun and freaky all at that same time. Overall, I know I’m not done with this coloring book. There are some additional pages that caught my interest because of their nightmarish themes that will be fun to dive into. 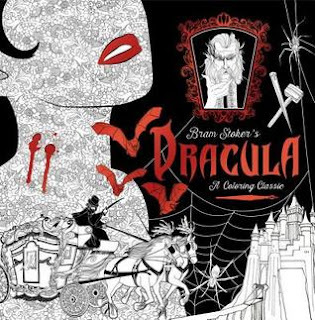 So if you’re a fan of all things spooky and spectacular, I suggest you check out this coloring book. It’s quite the treat for Halloween! 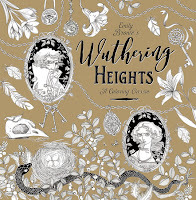 If you missed my previous posts or would like to see some additions I’ve added to Wuthering Heights and Romeo and Juliet, be sure to check them out. As I continue to go through these books, I’ll be sure to keep adding to my coloring collection.